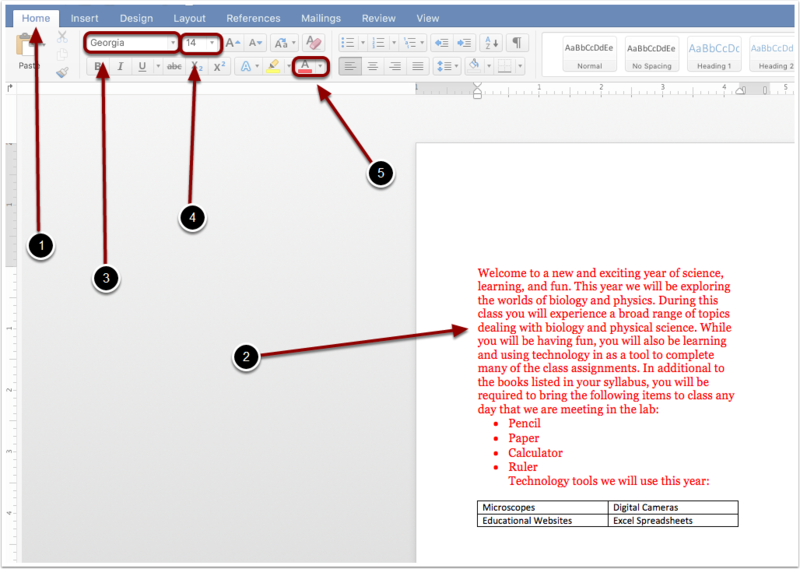 EdTech Help GuidesED206 Word TCAHow Do I Insert A Bulleted List And A Table? Below are instructions on how to insert a bulleted list and/or a table. 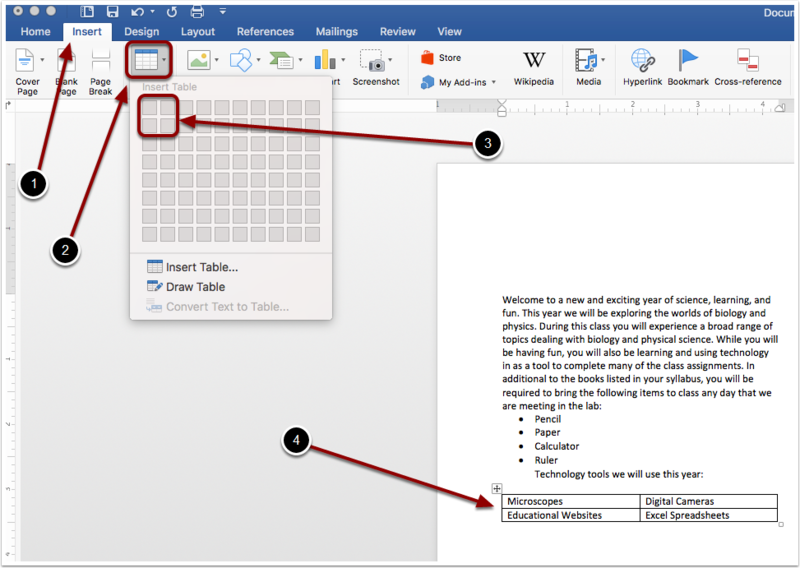 There are also instructions on how to edit the contents of the table. 2. 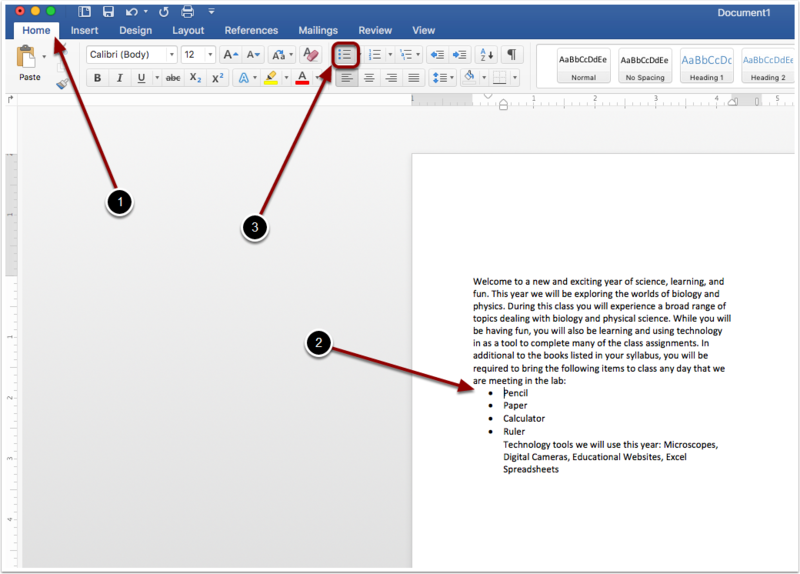 Click into the word document at the spot you want your list to start. 3. Click the bullet icon shown above. After you select the bullet icon, whenever you press enter, it will create a new bullet. 2. Select the table icon. 3. Choose the size of your table. 4. Insert the text you want into each section of the table. 1. Click into one of table cells. 2. Then you can begin typing or pasting the text you want inside. 1. Highlight the text you want to change. 2. Click on the home tab. 3. Select the font tab and choose which font to use. 4. Select the size tab and select which font size to use. Prev: How Do I Copy And Paste Content And Clear Source Formatting? Next: How Do I Insert And Edit A Textbox?